The unemployment rate in Africa is no new story, and anyone who is involved in skills development knows that there is no single answer to the skills problem. Through our CSR channel, you or your company can fund a community-based Vocational Learning Centre that provides skills to unemployed youths, awarding them the chance to support their families and fill a skills gap in their local communities. 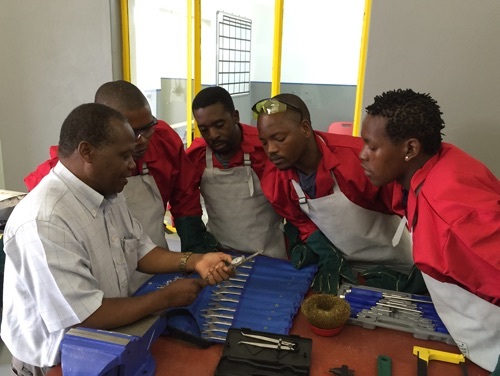 After research into the South African labour market, Arc Skills has identified welding training as the first in a series of skills that we would like to focus on for this project. 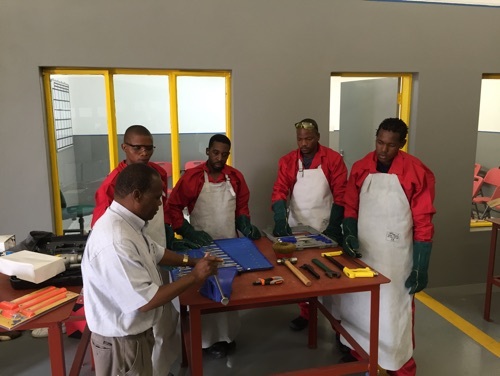 Arc Skills has full accreditation with the South African MerSETA to deliver certified welding training. Proficiency in welding can give students the opportunity to start their own small business. The basic welding course can be offered over the course of 1 month. Arc Skills has full accreditation with the South African MerSETA to deliver certified welding training. Our Welding Training Workshops are securely housed in converted sea containers. This unique and creative approach allows us to bring the equipment required to local communities across the country, and can immediately begin training students. Each workshop container is designed to handle the full scope of training required for students to gain a Certified MerSETA qualification in welding. We can relocate the welding centre at the end of each project cycle, or it can be left in place as a permanent training facility. Each Vocational Learning Centre is a stand-alone training facility, branded and supported by a funding partner that will be located within or near local communities. The training courses run over a 3-4 week period, and at the end, the students are assessed and issued with a recognised qualification, and where possible, assisted with finding employment. Arc Skills is looking for funding partners who will sponsor the students attending training at each of the centres as part of their CSR initiatives. As our funding partner, you will have a say in the location, vocational skills taught, and even the learner profile at each centre to align these to their specific goals. In return, you will have the right to fully brand the welding centre, creating valuable brand awareness about “your” centres for the duration of your commitment. There are some key Corporate Social Investment, BBBEE Scorecard and Tender Community Development benefits of undertaking these Arc Skills projects. Help us provide community-based vocational training that will transform unqualified youth into in-demand professionals who have the opportunity to gain meaningful, long-term employment.